Mockups serve the purpose of giving the visitor of your RoutineHub Shortcut page an impression of what to expect. You can also use mockups to support the description text. As you know, a picture says more than a thousand words. 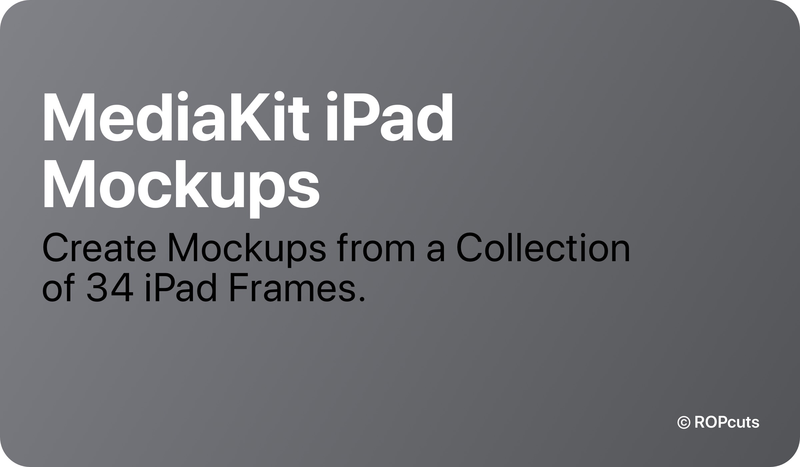 Both MediaKit iPhone Mockups and MediaKit iPad Mockups follow the same strategy: You decide which iOS device you want to use—no matter which iPhone or iPad generation you own. The easiest way, of course, is to select the device you used to take the screenshots. This way the picture dimensions fit perfectly to the frame. Many generations of iOS devices have the same aspect ratio. For example, an iPhone 8 Plus screenshot also fits into the iPhone 5c, 5s, 5SE, 6s, 6s Plus, 7, 7 Plus, 8 frames.